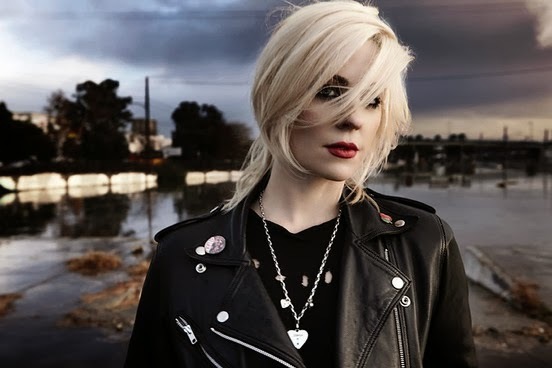 Brody Dalle (former frontwoman of The Distillers) has announced her new album will be titled Diploid Love, and is scheduled to be released on April 29th. The album was produced by Dalle and Alain Johannes (Arctic Monkeys, Them Crooked Vultures, Mark Lanegan) at his Los Angeles studio, as well as at Dalle and her husband Josh Homme's Pink Duck studio. Guest appearances on the record come from Garbage's Shirley Manson, The Strokes' Nick Valensi, Michael Shuman of Queens of the Stone Age and Emily Kokal of Warpaint amongst others. The first track from the album "Meet The Foetus / Oh The Joy," can be streamed below.